Having a cat and keeping your furniture scratch free might seem a daunting prospect. But getting a good scratching post will save your furniture. 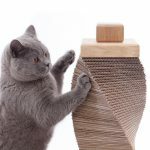 Here, Cool Stuff for Cats lists some of the best cat scratching posts that we have found. 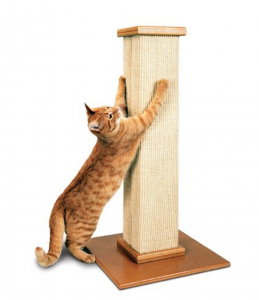 We look for scratching posts that are durable and hard wearing. They should be sturdy and allow our cats to get a full body stretch. The more our cats use scratching posts then the less they will use our furniture, curtains or walls for sharpening their claws. The Mondo cat scratching post is rather massive which is perfect for larger cats as well as smaller cats. Having a height of 39 inches it is one of the tallest posts on the market and almost doubles as a cat tree. It is hand-made in the USA and comes in two wood finishes – light and dark. The scratching area is made from sisal fabric and is perfect for your cat to have a full length scratching stretch. The top platform either has another sisal fabric scratch area or you can have a leopard coloured fabric. Further, you can also have a leopard or cappuccino colored plush kitty bed at the top of the post. Perfect for cats to watch the world go by. The Mondo scored 9.2 in our review. Click here to read our in-depth review of the Mondo Cat Scratching post. The SmartCat Ultimate Scratching Post scored an excellent 8.7 in our comprehensive review. Making this our number 2 pick in best cat scratching posts. The SmartCat scratching post is the number one best seller on Amazon and won the 2004 Cat Fancy Editor’s Choice award. It has a height of 32 inches and allows a cat to get a full stretch, therefore allowing a cat to stretch its’ shoulder and back muscles. It has a strong sturdy base which stops your cat from pulling it over and is covered in a fibrous woven sisal. The post is a smart square shape and with the wooden top platform and base this will also look very smart in any home. Click here to read our in-depth review of the SmartCat Ultimate Scratching Post. 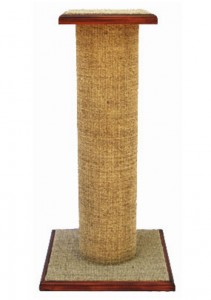 Handmade in the UK the Charley and Billie cat scratching post can be called completely environmentally friendly. It is made from ethically sourced stone together with sustainable oak. Furthermore, the actual “post” is made from recycled cardboard. This is a great looking cat scratcher for any home. It is incredibly contemporary and modern and looks pawsome. Your cat will also love it as it is almost 30 inches in height for a great stretch. 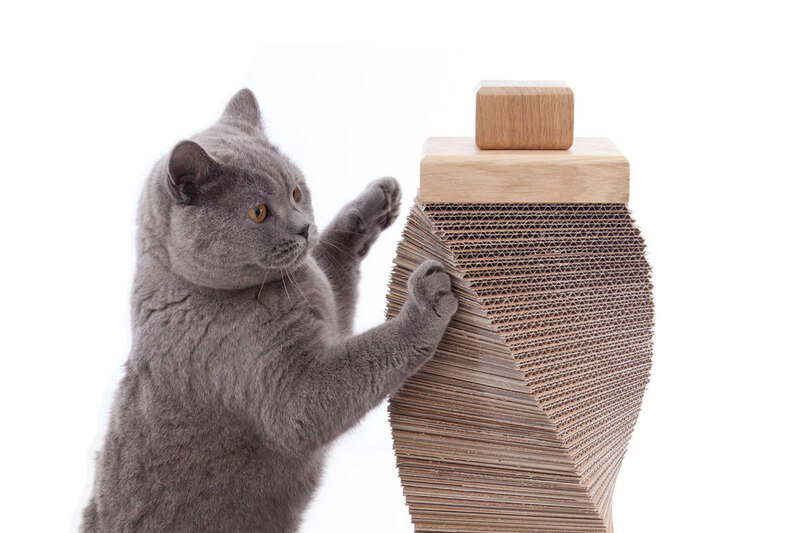 Not only that but you can easily change the cardboard inserts with this scratching post. Read more on the Charley and Billie Original Cat Scratching Post and find out where you can buy this.